Oops, I almost forgot! 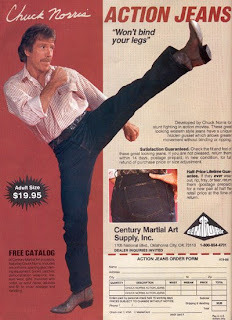 But how could I not celebrate Chuck Norris anniversary? That's right, the most powerful man on Earth (and beyond), the man that doesn't even shudder when he heats the name Jack Bauer, is now 69 years old? He's been away since 2005, but I hope he's working on some more movies like some of his fellow block-buster actors (like Stallone) have done.